At BLT Steak White Plains, located in the always elegant Ritz-Carlton Westchester Hotel, Westchester residents can savor a signature BLT Steak dining experience in an open-aired space with flourishing ceilings, an open kitchen, and outdoor seating.<br><br>The menu, organized by category, and complemented with corresponding savory sauces, guides diners to steakhouse bliss. 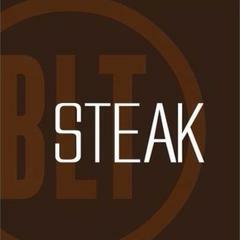 In addition to the Certified Black Angus or USDA Prime steaks, BLT Steak also offers American Kobe Beef, Lamb, Chicken, Fish and an extensive Raw Bar. Generous side dishes grace the table in Staub cast iron cocottes and “must have” desserts vary seasonally, but one can always count on the perfect finish.<br><br>Our award winning wine list features both New and Old World wines and a “short list” accompanies it, showcasing a smaller, bistro-style selection for convenience and ease.<br><br><br>If you do not see the position you are interested in listed below, please feel free to send us a resume to: careers@e2hospitality.com – we will do our best to reach out to you if there is a match!